EMERYVILLE, CA - MARCH 15: The Toys R Us logo is displayed on the exterior of a store on March 15, 2018 in Emeryville, California. 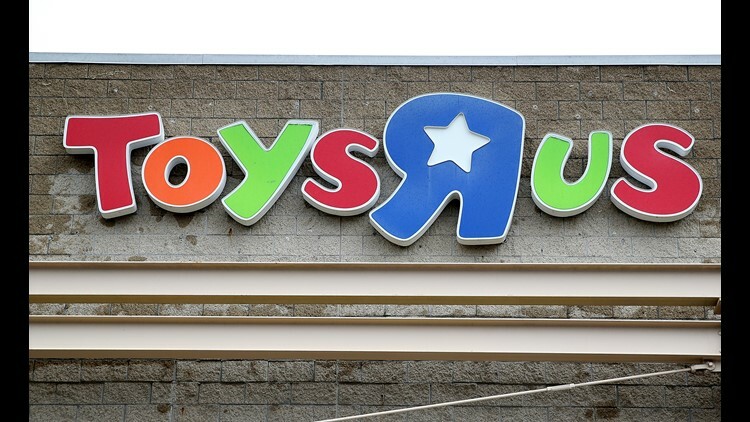 You don't have to drive to a store to save money at Toys R Us right now. Sure, some of the biggest deals will most likely be found in store as the retail giant begins what's been called "probably the largest retail liquidation in the country's history." Toys R Us has filed for bankruptcy and is ceasing U.S. operations; liquidation sales were expected to start Thursday and continue through June. But there also are great clearance deals to be found on the retailer's website. Here are 18 deals on LEGOs, NERF toys and other products that you've told us you've been looking for in the past. All deals were in stock and available as of 10:30 a.m. EST Wednesday, March 21. Neither TEGNA's journalists nor advertisers were involved in the selection of the products featured here nor the creation of any content on this page. We may receive a share of the revenue from the site that sells the product if you purchase one of these products using the link on this page.